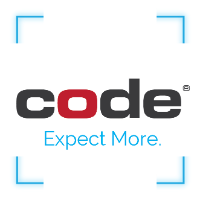 Code is a technology leader in the design, development, and manufacture of the latest generation of image-based barcode readers. Using advanced high-definition and multi-resolution optics, coupled with cabled and wireless communication options, including Bluetooth, our product suite is ergonomically designed to expedite data collection tasks and enhance productivity for the mobile worker. The Code product line is used in critical applications within healthcare, public safety, manufacturing, transportation, retail and a range of other diverse industries. Our team is looking for talented and self-motivated engineers with strong embedded system knowledge and firmware development experience who can apply his/her expertise in embedded system's firmware design, development, and support for our products. As a member of the engineering team, your job functions will include the full lifecycle of design, develop, modify, test, debug, and support the new as well as the existing firmware for all our devices. Code provides reading and decoding of all open barcode symbologies. In addition, Code also offers its proprietary GoCode symbology for secured data applications. Code's worldwide headquarters are located in Salt Lake City, USA, and has regional headquarters in China, Singapore, and The Netherlands.